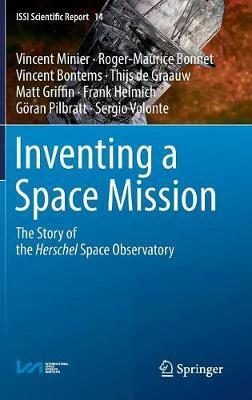 This book describes prominent technological achievements within a very successful space science mission: the Herschel space observatory. Focusing on the various processes of innovation it offers an analysis and discussion of the social, technological and scientific context of the mission that paved the way to its development. It addresses the key question raised by these processes in our modern society, i.e. : how knowledge management of innovation set the conditions for inventing the future? In that respect the book is based on a transdisciplinary analysis of the programmatic complexity of Herschel, with inputs from space scientists, managers, philosophers, and engineers. This book is addressed to decision makers, not only in space science, but also in other industries and sciences using or building large machines. It is also addressed to space engineers and scientists as well as students in science and management.